Some generations ago, a large share of the world’s children enjoyed the opportunity to simply go outdoors to move and play in yards, parks and forests near their own familiar neighborhoods. Due to urbanization, such opportunities have become scarce and, in many cities, it is not easy to find playgrounds anymore. Many children and youth today get to experience physical activity only through serious and demanding sport hobbies rather than as a normal recreational activity with relaxed fun and enjoyment. At the same time, online and mobile gaming offer fast-paced stimulus and instant gratification, thus simultaneously raising the level of excitement expected also from physical leisure activities. SuperPark addresses many of these modern challenges with a value proposition that combines joy, friendship and better health. The company develops and operates indoor activity parks in which children, youths and adults get to move and entertain themselves in an engaging, clean and safe environment. The concept is based on a hybrid model that includes three distinct areas within each park (adventure area, game arena and freestyle hall), and on digitalization of the activities as well as operations of the company. In addition to being a place for spending personal leisure time, the parks provide a great venue for events such as birthday parties, class trips, sports courses and corporate recreation days. 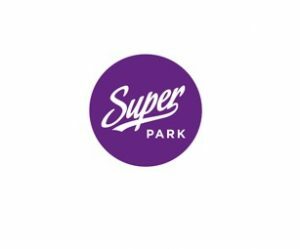 SuperPark was founded in Vuokatti in 2012, after which the company has grown at a fast pace and opened new parks around Finland. Strong evidence of the concept’s global attractiveness was gained in the end of 2017 when the first park outside of Finland was successfully launched in Hong Kong. Sentica supports SuperPark in the development of the company and its concept, and especially in accelerating its international expansion.